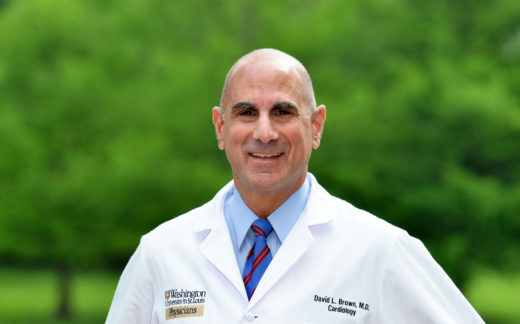 David L. Brown, MD is a Professor of Medicine at Washington University School of Medicine where he is a full-time clinical cardiologist and director of the Chronic Chest Pain Center-a resource for patients with undiagnosed chest pain. He practiced interventional cardiology for 19 years before becoming a general cardiologist. His current practice philosophy is based on the concept of minimal effective therapy-the use of lifestyle modification along with the fewest possible medications and interventions to reduce unnecessary harm to the patient and cost to the system. His investigational endeavors are in the realm of comparative-effective research, the topics for which are derived from unanswered clinical questions. His work has been published in JAMA, JAMA Internal Medicine, Circulation, Journal of the American Heart Association among others. He is the editor of the textbook Cardiac Intensive Care, the third edition of which is scheduled for publication in October 2018.